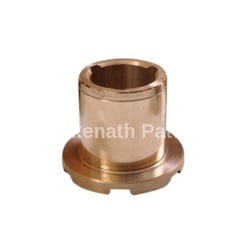 We are a leading Manufacturer of copper castings, copper casting, copper sand castings, copper alloy casting and gunmetal castings from Faridabad, India. 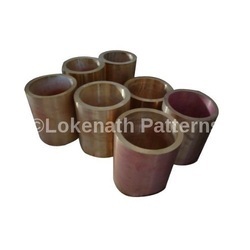 The quality Range of Manage Copper Casting offered by us is known for there Durability & Efficiency Feature. These are available in Different Range. Copper Casting solutions offered are designed and developed through well defined and established product R&D and QC process so as to ensure end casting solutions offered best match to the specific requirements as posted by the clients. Further, these castings can be provided in different finish choices like painting, polishing, anodized, power coating, plating and others. Some of its features include availability in different dimension choices, expertise in offering engineering consultation for the designs submitted that leads to its improvement and cost saving, experience in meeting OEM demands among others. Copper Sand Castings solutions offered are developed through a well defined casting procedure involving steps like pattern design & making, casting, heat treatment & surface finish, machining. This ensures the end solutions delivered best match up with the specific demands of the customers. 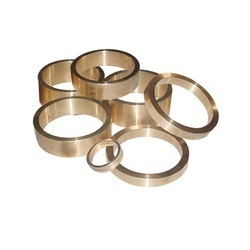 Some of its features include castings made to undergo extensive tests using equipment support like spectrum analyzer; choice of different finishes like Zn-Plated, Ni-plated, Passivized, Sandblast and Anodized; well developed R&D and QC department so as to ensure quality end solutions, castings of different dimensions and industry standards like JIS, DIN, ASTM, BS and others. 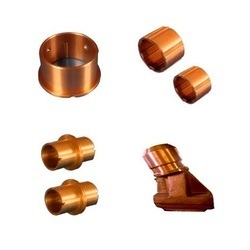 Copper Alloy Casting solutions offered can be developed by us as per OEM specifications and as precision metal casted parts these perfectly match up with the specific casting requirements of the customers. 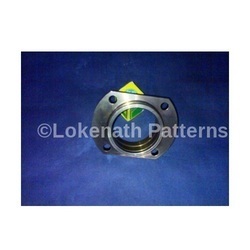 Here, our rich expertise in casting mould designing and construction also assures of quality end solutions. These are developed using precision sand casting process and can be provided with surface finish choices of Zinc Phosphate, Nickel and others. Some of its features include random inspections carried under each production stage to ensure quality end solutions, conducting final inspection before delivery, using support of latest inspection equipment like 3-Coordinate Measuring Machine, Digitizing Measurement Profile Projector, Surface Roughness Measuring Instrument; strong R&D and QC department to meet specific casting needs of customers, availability of casting as per standards of ANSI/ASTM, BS, DIN, JIS and others. Copper Alloy Casting solutions offeredis developed using well defined sand casting process as well as through support of associated product design software like Auto CAD, CAM/CAE o as to ensure precision standards are maintained in the castings. Further, the use of latest technology based equipment like CNC, milling machine, drilling machine and lathe also assure of maintaining precision machining standards in the components. Some of its features include choice of different surface finishes like painting, anodized, power coating, polishing; choice of different dimensions according to client's request, expertise in meeting OEM order demands, maintaining good product quality and strict delivery time. Looking for Copper Alloy Casting ?